Installation of ATBS Interpreter Device for use with VisTracks, Inc. Installation of Atlas Device for use with VisTracks, Inc. Installation of BAFX ELM327 Device for use with VisTracks, Inc. Installation of CalAmp 4230 Device for use with VisTracks, Inc. Installation of Cartasite ROVR dT9 J1939 Device for use with VisTracks, Inc. Installation of Digi Wireless Vehicle Device for use with VisTracks, Inc. Installation of Geometris Device for use with VisTracks, Inc. Installation of Geotab Device for use with VisTracks, Inc. Installation of IOSix Device for use with VisTracks, Inc. Installation of Pacific Track Device for use with VisTracks, Inc. Installation of MDT7-P and the CalAmp 4230 using hardwire connection with VisTracks, Inc.
Download a PDF version of this. Note: The first few instructions below are for the initial connection from the CalAmp 4230 device to MDT7-P Tablet. 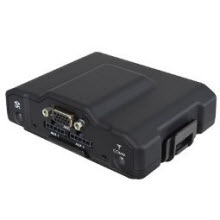 The connection of the CalAmp 4230 to MDT7-P uses a physical serial connection, therefore it does not require Bluetooth. Connect the 5 pin adapter to AUX 1 in the CalAmp 4230 device. 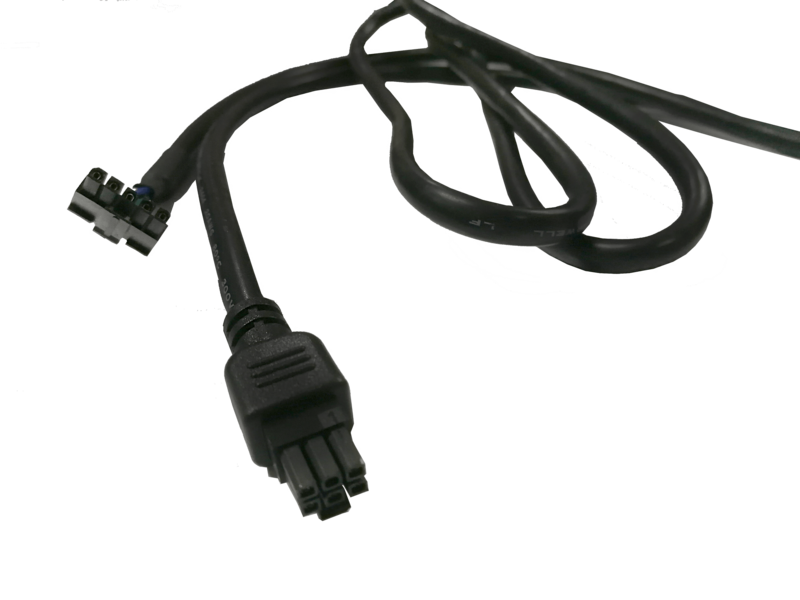 The device plugs directly into the JBUS adapter cable. After the device is plugged into the socket, the yellow and red LED starts blinking with 1Hz rate. This means the device is powered and operational. 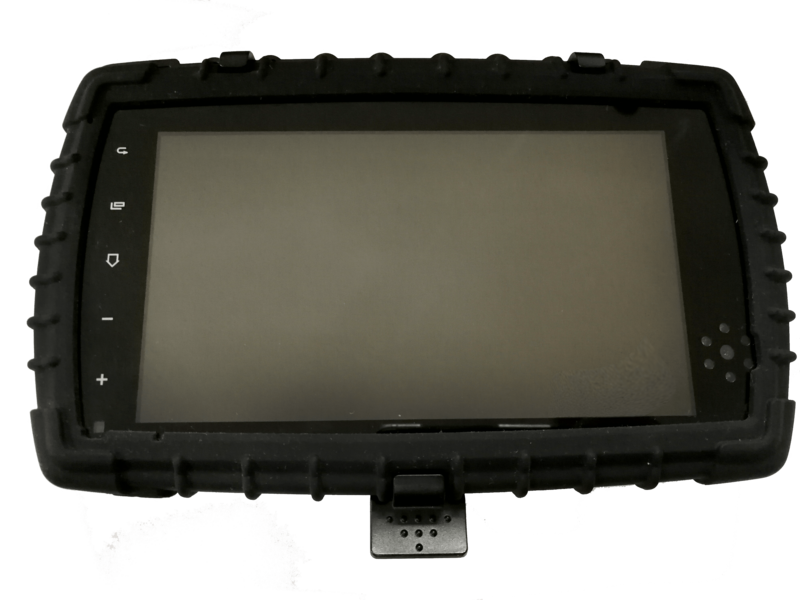 Step 2 – Use the VisTracks Mobile App with MDT7-P tablet. At this point, 2 options were present in order to establish a connection to the VBUS device: Manual Connection and Auto Connection. A VBUS Progress dialog will then displayed. Tap ‘Stop Connection’ button to stop establishing the VBUS connection. 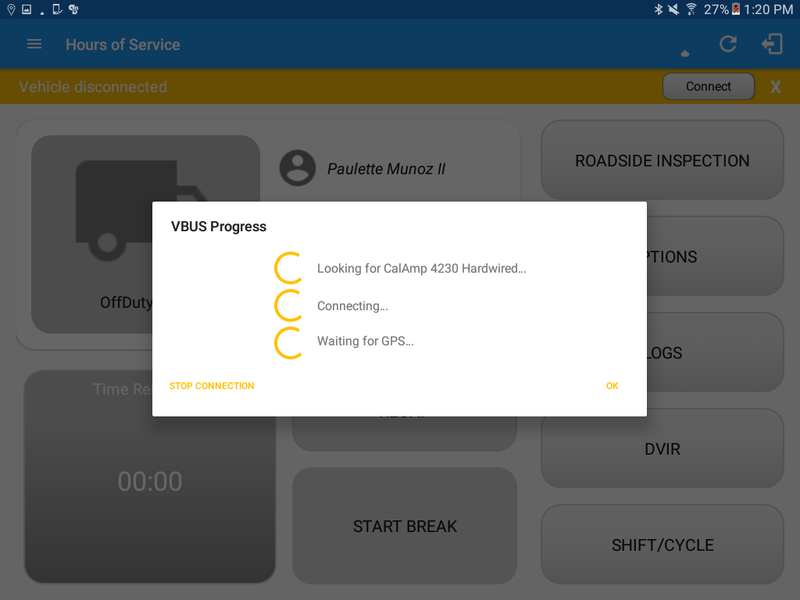 Tap OK button to hide the VBUS Progress dialog while establishing VBUS connection. 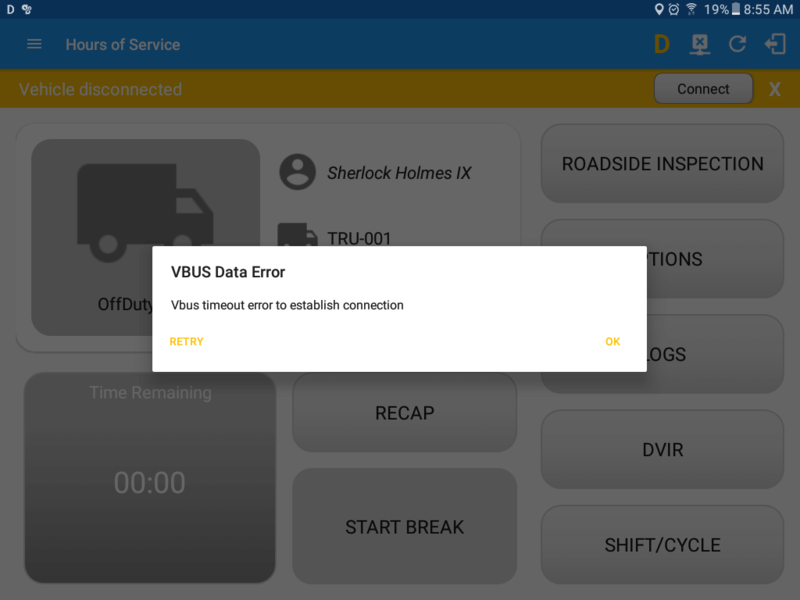 ► If the VBUS connection results to an error (given the following situations below), an error dialog will display. 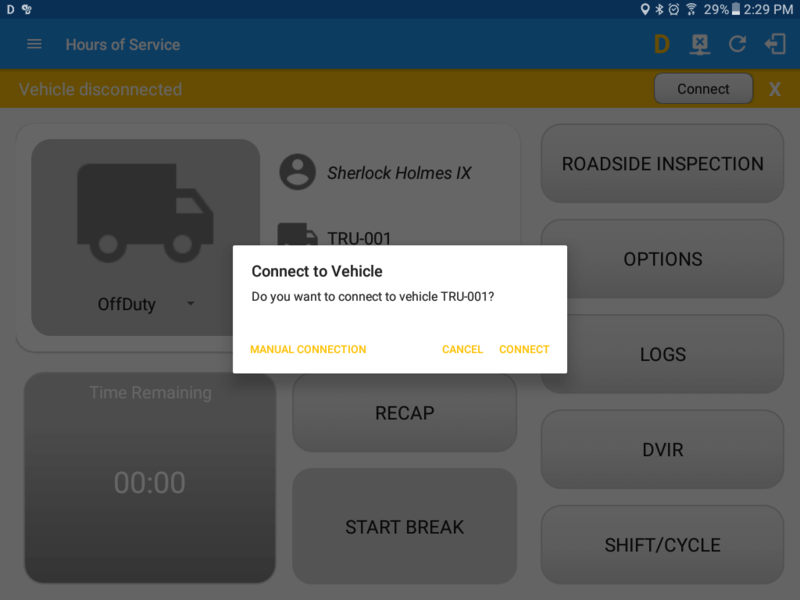 No ELD data received from the device in a specified time frame. 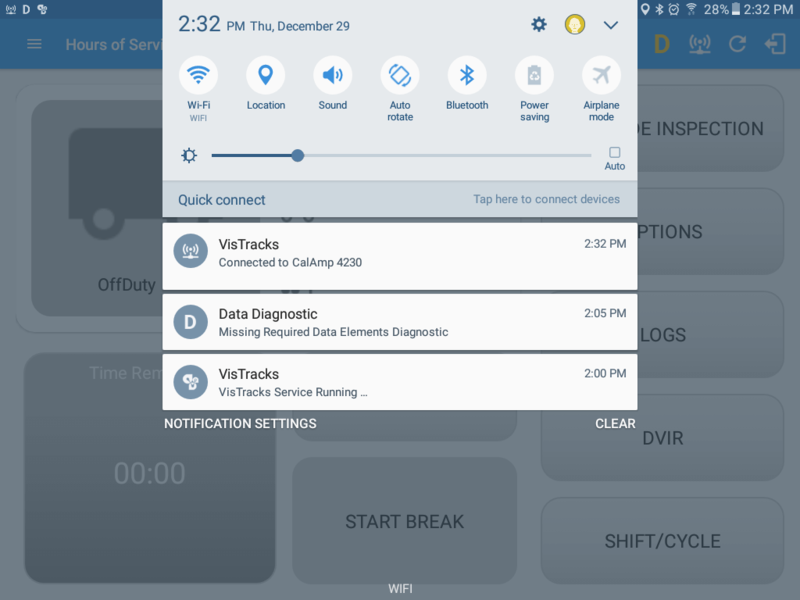 Note: The app automatically disconnects from the device after attempting connection for 1 minute and 30 seconds without receiving any data from the VBUS device. 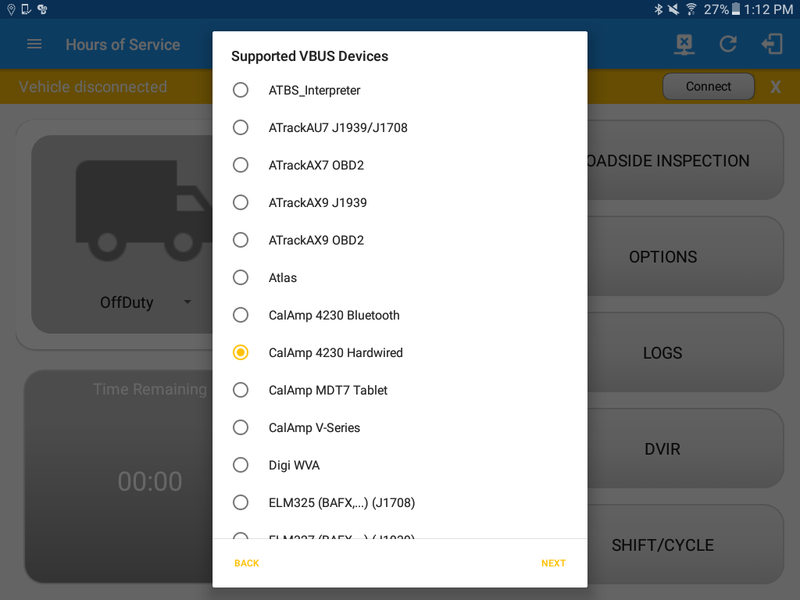 After a successful VBUS connection, You will hear a tone letting you know that device is now connected. The device and the application are now connected. Upon establishing a connection to the VBUS device, You should hear a tone letting you know that device is now connected. Copyright © VisTracks Inc. All Rights Reserved.